We are delighted to introduce our new Pacific Plus Collection, get a designer look for less with our modular designs in 25mm white Melteca. 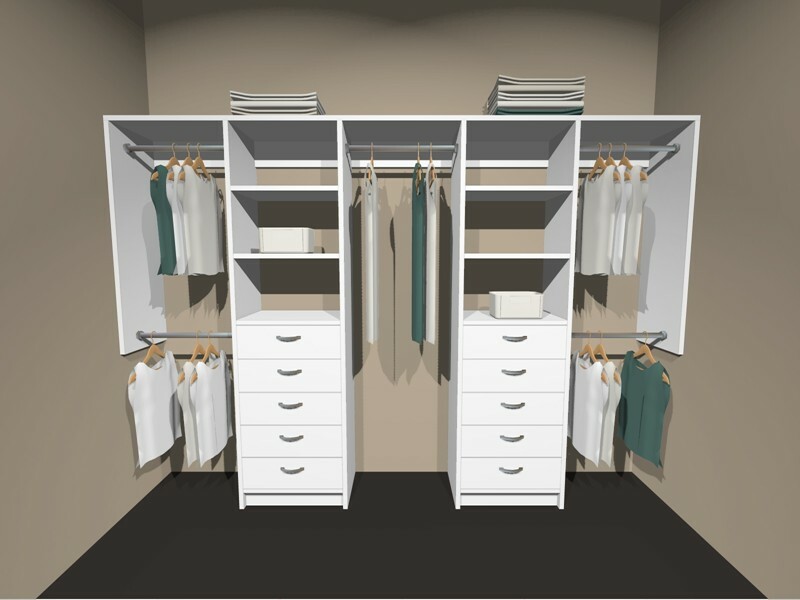 600mm wide, 400mm deep and 2100mm high modular units can be configured in different combinations to make the most out of your wardrobe space. Hanging lengths can be altered to suit your needs. It also includes quality soft close drawers as standard and a choice of one of four Standard Handles. Mix & match some of the layouts below to create your walk in wardrobe. Manufactured in superior 25mm white Melteca with soft close drawers as standard. Contact us to discuss your requirements. We are here to create your affordable dream wardrobe from our Pacific Plus Collection. 2100mm high - with a 600mm wide drawer & shelf unit centrally located. Contact us to discuss your requirements. We are here to create your affordable dream wardrobe from our Pacific Plus Collection. 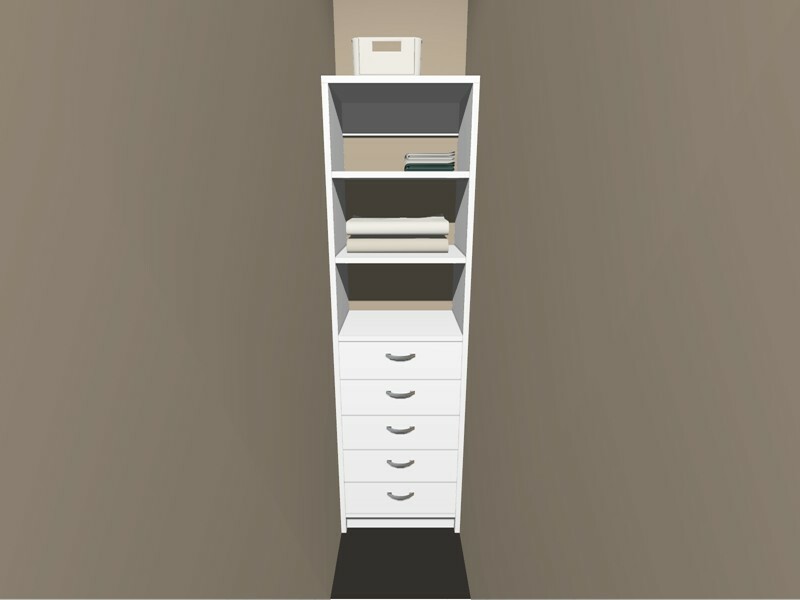 2100mm high - with a 600mm wide drawer & shelf unit located either to the left or right of your wardrobe. Contact us to discuss your requirements.